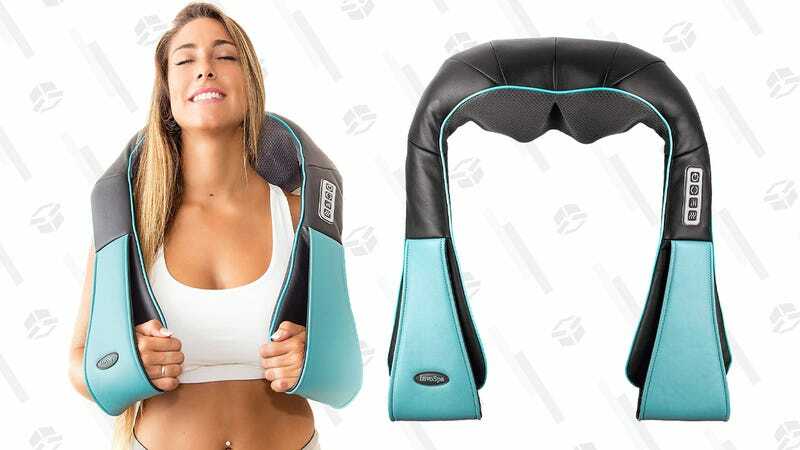 The Mueller Report’s got a lot of us stressed out this weekend, but at the very least, you can at least treat yourself to a massage whenever or if ever that thing ever actually drops with this $35 gadget. We’ve posted a similar product from other companies a few times before, but this one has twice as many shiatsu nodes as most competitors (eight vs. four), so it’ll feel like you have a small army of masseuses tending to your knots. It’ll also warm up too, which seems really nice. But just make sure to decide soon, this one won’t stick around after today.